The first-ever final arbitral award on patents in international investment arbitration brought under Chapter 11 of NAFTA was delivered by the International Centre for Settlement of Investment Disputes (ICSID) in the keenly watched dispute between Eli Lilly v. Canada. In its 159-page judgment, the ICSID discussed a gamut of issues dealing with patent laws. The case involved the contentious issue of a recent trend of invalidation of pharmaceutical patents by the Canadian courts. Eli Lilly which is incorporated in the US bought a claim against Canada, alleging that the ‘promise utility doctrine’ introduced in the Canadian patent law, which required patent owners to prove that the patent had the usefulness which the patent application promised to deliver was against the provisions of the NAFTA as well as the International Law. ICSID is the leading institution dealing with international investment dispute settlement of which 161 countries are signatory and contracting states. It was established in 1966 by the Convention on the Settlement of Investment Disputes between States and Nationals of Other States. The Convention is a multilateral treaty formulated by the Executive Directors of the World Bank to promote international investment. ICSID conducted the Eli Lilly international arbitration pursuant to Chapter Eleven of NAFTA. The case dealt with two of its drugs - Zyprexa and Strattera. To take the case of Zyprexa, in 1975, Lilly Industries UK filed for a Canadian patent covering 15 trillion compounds, including olanzapine, which was one of the “most preferred compounds” that was granted (687 Patent). Later in 1991, Eli Lilly filed Patent Application for olanzapine, as a selection from the genus of the ‘687 Patent’ (Zyprexa Patent) and it was granted in 1998. The Patent Act of Canada allowed inventors to patent pharmaceutical compounds since 1987. Canada then had a compulsory licensing system under which generic pharmaceutical manufacturers were allowed to make the patented products by paying a statutory fee. But in 1993, in recognition of its international obligations under the Agreement on Trade-Related Aspects of Intellectual Property Rights (TRIPS), the compulsory licensing regime was scrapped and replaced by a new system. Novopharm, a Canadian drug manufacturer, obtained regulatory approval to market a generic version of Zyprexa which prompted Eli Lilly Canada to file a suit against Novopharm for patent infringement. The Federal Court dismissed the action while invalidating the Zyprexa patent holding that it did not describe an invention over and above what was disclosed in the ‘687 patent’. The case was remanded on appeal. On reconsideration, patent was again invalidated for lack of utility. The Court held that Novopharm has established that the patent’s promise had not been demonstrated and could not have been soundly predicted on the basis of the evidence available to the inventors in 1991. Eli Lilly unsuccessfully appealed to the Federal Court of Appeal and the Supreme Court of Canada. The Patent Act of Canada states that an ‘invention’ means any new and useful art, process, machine, manufacture or composition of matter, or any new and useful improvement in any art, process, machine, manufacture or composition of matter. The Canadian courts invalidated the patents on the ground that they were not “useful”. Eli Lilly alleged that Canadian Courts adopted this new “promise utility doctrine” only in mid-2000s and was thus a new, arbitrary and discriminatory policy against pharmaceutical companies and products. Also the retroactive application of the new doctrine to already granted patents resulted in the unlawful expropriation of Eli Lilly investments as well as a breach of Canada’s obligation to provide the minimum standard of treatment. On the question of state responsibility for its judicial decisions, the tribunal observed that Article 4 of the ILC Draft Articles on State Responsibility states that the conduct of any State organ shall be considered an act of that State under international law, whether the organ exercises legislative, executive, judicial or any other functions. A State is thus responsible in international law for the conduct of its organs, including the judiciary. Alleging expropriation Eli Lilly argued that “tribunals have concluded that judicial measures qualify as indirect expropriations when they result in a substantial deprivation and violate a rule of international law”. In Saipem v. People’s Republic of Bangladesh (ICSID Case No. ARB/05/7, Award, 30 June 2009) the tribunal had found the annulment of a commercial arbitration award by the Bangladeshi courts to be an indirect expropriation under the Italy-Bangladesh BIT, looking at factors such as the impact of the court’s action, finding a “substantial deprivation” and whether that action was unlawful under international law, finding that it violated Bangladesh’s obligations under the New York Convention. The tribunal observed that judicial acts can be in principle attributable to the State by reference to uncontroversial principles of attribution under the law of State responsibility and hence a judicial act may amount to expropriation. The Tribunal therefore held that a violation of the customary international law minimum standard of treatment requires an act that is sufficiently egregious and shocking like a gross denial of justice, manifest arbitrariness, blatant unfairness, a complete lack of due process, evident discrimination, or a manifest lack of reasons, so as to fall below accepted international standards. Discussing the vexed issue of whether only ‘denial of justice’ claims can be allowed, the tribunal ruled that there are distinctions to be made between conduct that may amount to a denial (or gross denial) of justice and other conduct that may also be sufficiently egregious and shocking, such as manifest arbitrariness or blatant unfairness. Concepts of manifest arbitrariness and blatant unfairness are capable, as a matter of hypothesis, of attaching to the conduct or decisions of courts. A claimed breach of the customary international law minimum standard of treatment requirement may be properly a basis for a claim notwithstanding that it is not cast in denial of justice terms. The conduct of the judiciary will in principle be attributable to the State by reference to uncontroversial principles of State responsibility. The tribunal relying on the Supreme Court of Canada’s 1981 decision in Consolboard Inc. v. MacMillan Bloedel (Sask) Ltd. ( 1 S.C.R. 504) concluded that the “promise utility doctrine” was not entirely novel. The tribunal thus held that there has not been a dramatic change in Canada’s patent utility law, as argued by the claimant, since the relevant Canadian judicial decisions were handed down over a period of more than six years, encompassing a range of cases from first instance to the final appellate court. Canada’s utility requirement thus underwent only incremental and evolutionary changes between the time that the patents were granted and hence Eli Lilly could not succeed. Eli Lilly also tried to term the action of the courts as arbitrary alleging the action as unpredictable and incoherent. Seeming facially neutral, the promise utility doctrine was alleged to have differentially disadvantageous effects on the pharmaceutical sector. It argued that till the year 2005, no pharma patent could be successfully challenged for lack of utility. But after the Courts started applying it, more and more patents (solely pharma) were invalidated. The tribunal held that the ‘promise utility doctrine’ did not discriminate against pharmaceutical patents holding that courts reaching inconsistent determinations of a patent’s promise does not make it arbitrary as inconsistency in judicial interpretation at a limited scale can be expected in an adversarial system. Even de facto discrimination was absent. 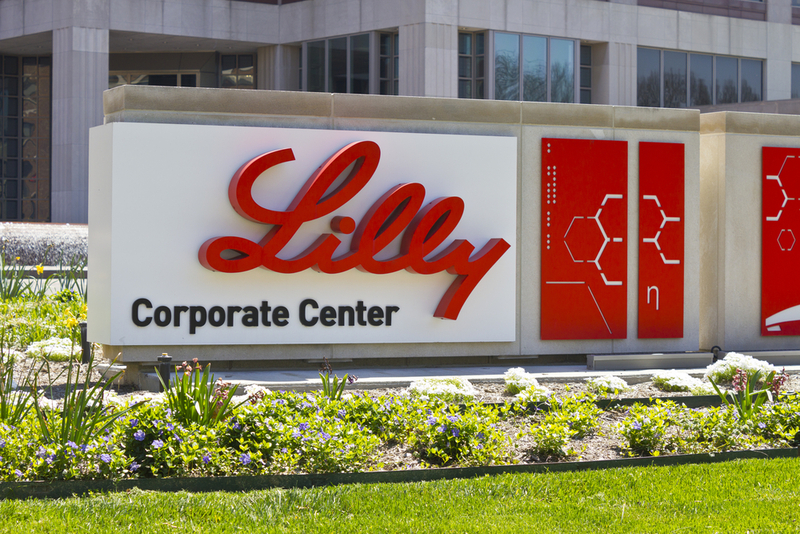 Though Eli Lilly has lost the arbitration, the very fact that the ICSID held that it has jurisdiction to hear the patent dispute which sought to challenge the domestic court’s interpretation of the domestic patent law has opened up new areas of challenge of patent laws. Though ICSID has observed that it is not an appellate court and it will only interfere in certain egregious circumstances, yet the circumstances enumerated in the award are not only restricted to ‘denial of justice’ claims as unsuccessfully requested by Canada. Thus in the near future there can be many more companies dragging states to foreign arbitration alleging that their intellectual property rights are not given sufficient protection in the respondent’s territory. Curiously in AstraZeneca Canada Inc. v. Apotex Inc., 2017 SCC 36 (June 30, 2017), the Supreme Court of Canada has now overturned the ‘promise doctrine’. It may be interesting to recall that in White Industries v. India (UNCITRAL Award, 30 November 2011) White Industries successfully bought a claim against the Republic of India before the investment treaty arbitration tribunal alleging violation of the India-Australia bilateral investment treaty (BIT). The humongous delay faced by the Australian company in Indian courts to enforce a foreign commercial arbitration award against Coal India limited was alleged to be against the obligations under the Australia-India BIT. White Industries had alleged violations of various provisions like expropriation, MFN, fair and equitable treatment. Rejecting the remaining grounds, the tribunal held that India did violate the MFN provisions of the India-Australia BIT. The present award of ICSID will certainly provide companies with new opportunities to challenge foreign courts decisions especially in relation to patent cases.